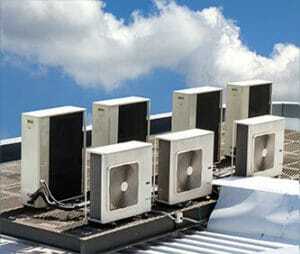 Air Conditioning Service In Jacksonville, FL | Weather Engineers Inc. When it comes to air conditioning service in Jacksonville, FL, and the surrounding areas, Weather Engineers has a leg up over the competition. Not only are we familiar with every major make and model, but we have decades of experience that no one else can even get close to. Our business was founded in 1963 and has stayed in the family ever since. The knowledge and values that made us successful over 55 years ago are still relevant in today’s business, and we still deliver the maximum amount of value with every customer interaction that we have. And that’s not to say that we are exactly like our older counterparts. We are constantly evolving, staying up to date with the newest technologies and cooling techniques, all so we can give our customers the best value at the end of the day. If you choose to partner with Weather Engineers, we will let you in on a little secret. The key to staying at the top of our game for over five decades has always been the same. It’s even quite simple. At Weather Engineers, we treat our customers like family. We have seen the power that understanding our customers can bring to a business, and we use these relationships to determine the best way to serve the people we work with. So when you require air conditioning service in Jacksonville, FL, and the surrounding areas, you can be sure that it has that personal touch that has kept us in the industry for so long. We will always greet you with a smile and a positive attitude, and we will always listen to your needs to make sure you get exactly what you want. Call Weather Engineers today to not only receive air conditioning service in Jacksonville, FL, and the surrounding areas but to also start a business relationship like none you have ever experienced before. Our team will get to know you and your circumstances because we’ve realized that the best way to serve our customers is to sympathize with their needs. Call us at (904) 356-3963 today to get started!